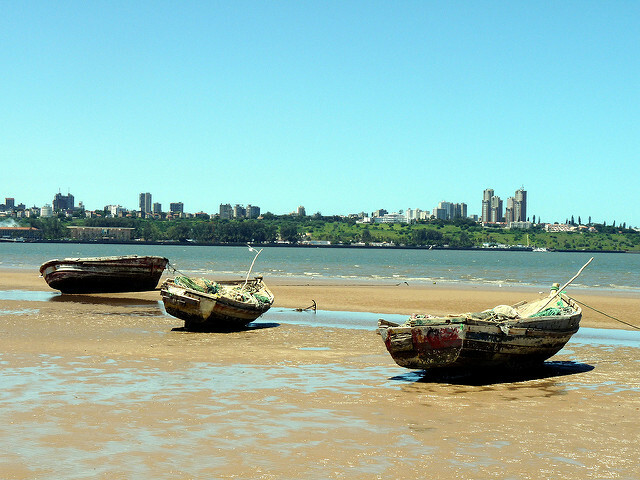 Secret loans to the Mozambique government have come at heavy price for the country’s people. Mozambique’s independence from colonialism was marred by a horrific civil war, where white Rhodesia, then apartheid South Africa, supported rebels to undermine the Mozambique government. Following the war, the country had a large debt, and some social conditions actually worsened as the IMF and World Bank insisted on cuts in government spending. In 2001 and 2005 Mozambique qualified for debt relief which cut debt payments to low levels, and some social outcomes improved. In the 2000s Mozambique’s economy grew rapidly, but this was largely due to extractive megaprojects which were of little benefit to ordinary people. 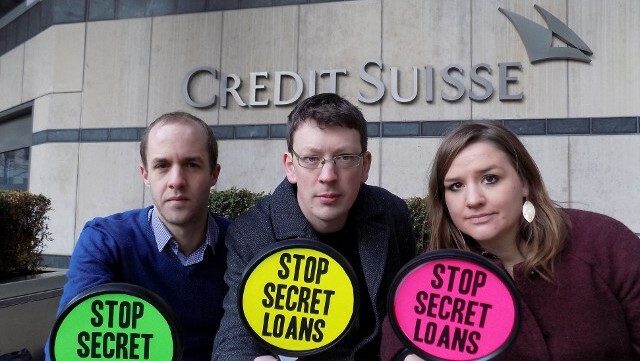 In 2013, two London banks lent money secretly to three state owned companies. Mozambique has been plunged back into a debt crisis, with huge questions about the lack of due diligence undertaken by the London banks. Mozambique gained independence from Portugal in 1975 after fighting a brutal war of independence for the previous decade. The new left-wing one-party government was violently opposed by rebels supported by white Rhodesia and apartheid South Africa, which both also launched military operations directly against Mozambique. The ensuing war lasted from 1977 to 1992. When records begin in the mid-1980s, Mozambique’s government external debt was already 60% of GDP. Government foreign debt payments averaged 15% of revenue through the 1980s and 1990s, and this increased in the mid-1990s after the end of the war. In 2001 Mozambique qualified for $4.3 billion of debt cancellation under the Heavily Indebted Poor Countries initiative, and in 2005 a further $2 billion under the Multilateral Debt Relief Initiative. Debt payments fell, to just 1% of government revenue by 2007. Following the end of the war in the 1990s, there were significant improvements to child health. The number of children dying before their fifth birthday hardly fell between independence in 1975 and the end of the war in 1992. However, it then dropped sharply, and today six in every 100 children do not live to reach the age of five. This is still far too high, but it is a big improvement. However, in other areas social condition got even worse after the war. As government spending was cut as a condition of IMF and World Bank loans, the proportion of children completing primary school fell from 25% in 1992 to just 14% by 1999. Following debt relief, this began to increase, reaching 60% by 2010. In the 2000s, Mozambique became one of the fastest growing economies in the world, yet little of this reached ordinary people. The number of people living on less than $2 a day increased even more dramatically, from 15 million in 1996 to over 22 million by 2014 (the latest year for which figures are available). One example of this growth without poverty reduction is an aluminium smelter, called Mozal, built half funded by public money, including from the UK government and World Bank. However, it was exempt from all taxes on profit and VAT, with just a 1% turnover tax charged, and it has benefited from a hugely subsidised electricity rate. In 2013, Jubilee Debt Campaign estimated that for every $1 received by the Mozambique government from the smelter, $21 left the country in profit or interest to foreign governments and investors. Other completed or planned megaprojects in Mozambique have included gas fields, various mines – particularly coal and titanium – and agro-industry. A review completed by UNCTAD in 2012 found that megaprojects had failed to benefit the people of Mozambique, despite the huge economic growth and foreign investment they have generated. The flip-side of the large amount of foreign investment is that it created liabilities such as debt payments, or other financial flows out of the country, such as multinational company profits. Between 2009 and 2013, the total liabilities owed by Mozambique (private and public sectors) to other countries increased from $14 billion to $34 billion. This means by 2013, Mozambique’s net debt – the debt of the public and private sectors to the rest of the world, minus the debt owed to them – was $25 billion, a gigantic 160% of GDP, the highest of any country in the world. As well as the revelations about these hidden debts, Mozambique’s economy has been hit hard by the fall in price for the country’s commodity exports. The local currency, the Mozambique metical, fell by 50% against the US dollar in 2015 and 2016. This has rapidly increased the relative size of the dollar-denominated debts. The revelations about the hidden debts led to the IMF suspending its loans to Mozambique in April 2016. These had been being used to pay off previous lenders such as Credit Suisse and VTB. Mozambique has said it does not have the money to repay private external loans and has now begun defaulting on the hidden debts. All the hidden debts are owed under English law. VTB has said it has sold off the debts it is owed by Mozambique and there is a possibility that these have been bought by vulture funds. Because of the lack of international mechanisms to restructure debt, it could therefore result in vulture funds suing Mozambique in UK courts seeking large profits on what they originally paid to buy the debt. Mozambique civil society, including the Budget Monitoring Forum, Mozambique Debt Group and Transparency and Fiscal Justice Coalition have said the loans are illegal because they were not approved by the Mozambique parliament as required in the constitution. They are calling for a criminal investigation into the officials responsible, declaration that the debts are illegal, and non-payment of the debts. Jubilee Debt Campaign is supporting these demands, and campaigning for the London banks to be held responsible, and UK law changed to prevent such odious loans being given again in the future.